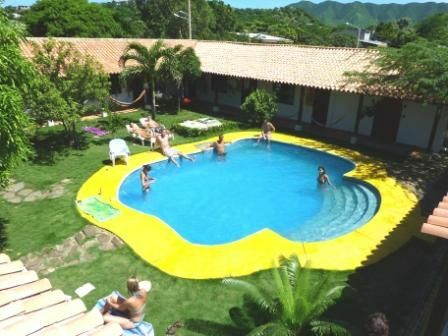 If you are looking for a fun hostel with a relaxed atmosphere where you can rest, meet people, have a drink or just sunbath by our swimming pool... This is it. The Dreamer is a magical place, different from all the other hostels as it is the only one in town purpose-built to fulfill travellers needs. Our location allows easy access to all that Santa Marta has to offer and all the natural attraction of its surroundings. In particular the Sierra Nevada mountains and the amazing Tayrona National Park (we are the closest point!) This makes us an excellent base for discovering the city sights and its nightlife as well as the natural beauty and adventure activities we can offer you. Some facilities that ours adventurers loves: Big garden and swimming pool, Basketball court in front of the hostel. The Coelhos Bar open every day, pool table, Italian restaurant (homemade pasta) open for breakfast, lunch and dinners; For those who likes to make their own food we have a fully equipped kitchen open all day, 2 dining areas, BBQ and a nice TV lounge with Cable TV and DVD; Check in is open 24 hours and Internet is free!! We also offer a wide range of accommodation from comfortable and spacious dorm to twin and double room in suite (air con available) We provide info and organize tours to the main attraction in the region like the Lost City or the dream destination of San Blas and Panama for those who want to continue travelling to central America. If you are looking for a unique Santa Marta experience come and stay with us. 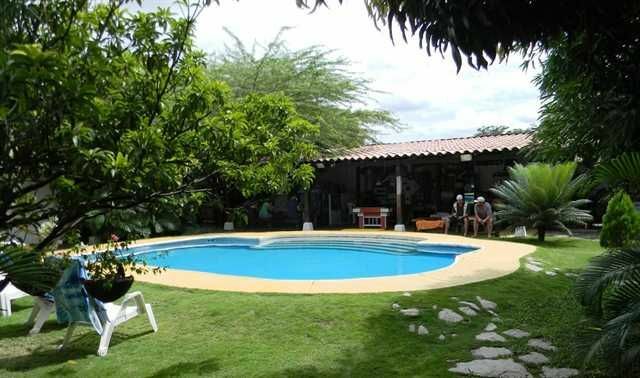 The hostel is a 5 minutes taxi ride from bus station, cost 4500 pesos ( around 2 dollars) The bus stop to the amazing Parque Tayrona is accross the street and very cheap pubblic transport to Quebrada Valencia, Minca, Rodadero and Taganga are just 2 blocks away from the hostel.